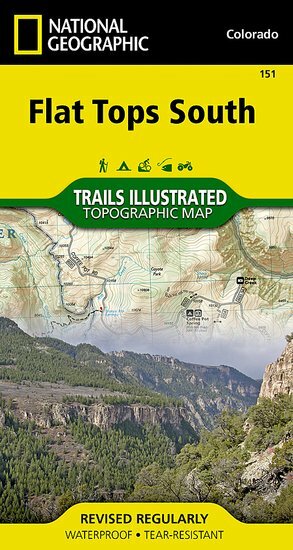 Trails Illustrated Flat Top South [TI151] - $10.95 : Trail Explorers Outpost, Keeping the Adventure Alive! 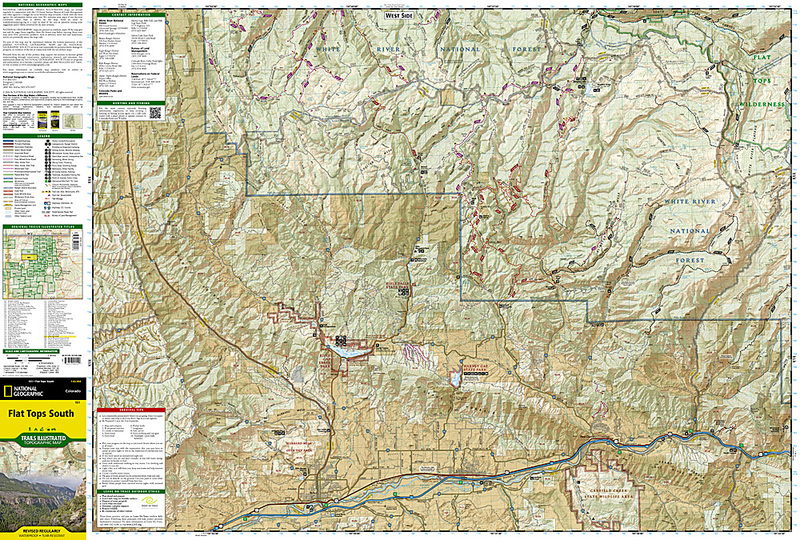 National Geographics Trails Illustrated map of Flat Tops North in Colorado is designed to meet the needs of outdoor enthusiasts with unmatched durability and detail. Expertly researched and created in partnership with local land management agencies, this map features key points of interest including Rifle Gap, Rifle Falls, Harvey Gap, Sylvan Lake state parks and Glenwood Springs. Also featured are Flat Tops Wilderness, Castle Peak and Bull Gulch wilderness study areas and West Rifle Creek and Garfield Creek state wildlife areas. 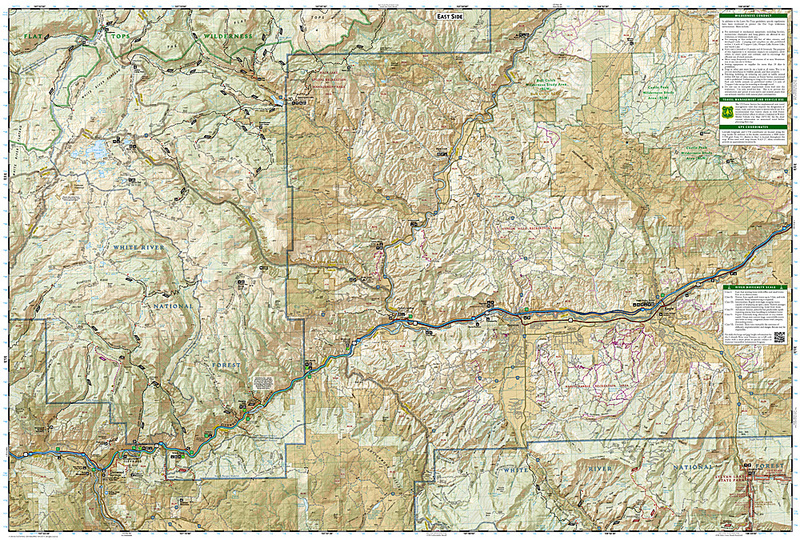 This uniquely detailed map provides trail mileages and clearly marked mountain bike and motorized trails along with access points for the Colorado River and game management unit locations. All proceeds from the purchase of a National Geographic map help support the Societys vital exploration, conservation, scientific research, and education programs.